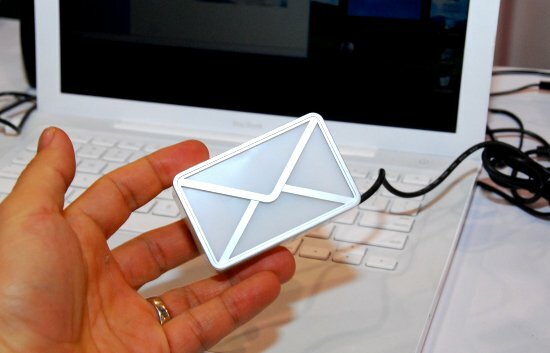 HIGH QUALITY – The future is here and it’s ready to play! 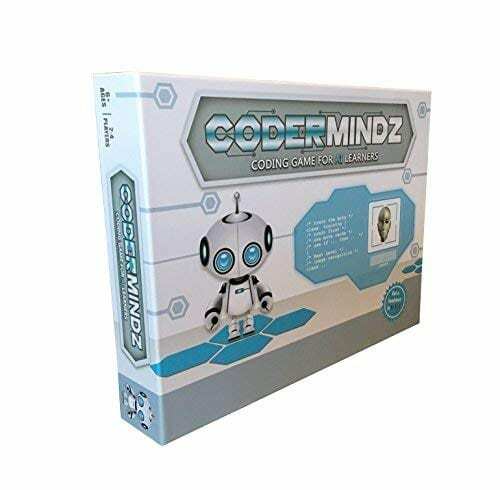 Coder Mindz is the only board game and STEM toy, that teaches Coding and Artificial Intelligence concepts using a fun gameplay.EASY PLAY – Use it at home, in school, coding clubs, Montessori, STEM clubs, boys girls scout, summer clubs, tutoring, after school, day care, maker space, hackathons and for Girls who code!YOUNG INVENTOR – Created by Samaira, a 9 year old girl and covered by over 30 Media and News, including NBC, Sony, Mercury News and many more. Her first game is now used in over 106 schools.FIRST EVER AI GAME – The only game in this world that introduces kids to many AI concepts. Teaches Image Recognition, Training, Inference, Data, Adaptive Learning, Autonomous and more. Also teaches Coding concepts like Loops, Functions, Conditionals and Algorithm writing and more.THINK AI – Artificial Intelligence is a big and emerging branch. The “Intelligence” in machines is programmed by “Training”. Once trained the machines “Infer” and start behaving “Autonomously”. Training involves Back-propagation which is Retraining or Fine Tuning. Using bots and code card this game sneakily introduces all those concepts which form foundation of today’s AI world. Learning Coding and AI concept helps you connect with real coding and AI. 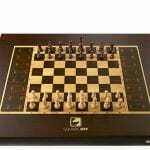 A Smart automated Chess Board, which Moves The opponent's Pieces on its own. Play Against The AI or Anyone Across The Globe.